Without Flag Marshals, we can’t go racing! Marshals are an important part of any event. They assist in controlling the races and operate the flag points around the track. Admission is free and you get a trackside seat at the action. So, if you are over 16 and interested in helping, please contact the SA Flag Marshals Association. They provide full training, all equipment, protective clothing and your lunch. SAFMA meets at The Prince Albert Hotel Wright Street, Adelaide. Here is a list of the flags displayed during a race and their meanings. 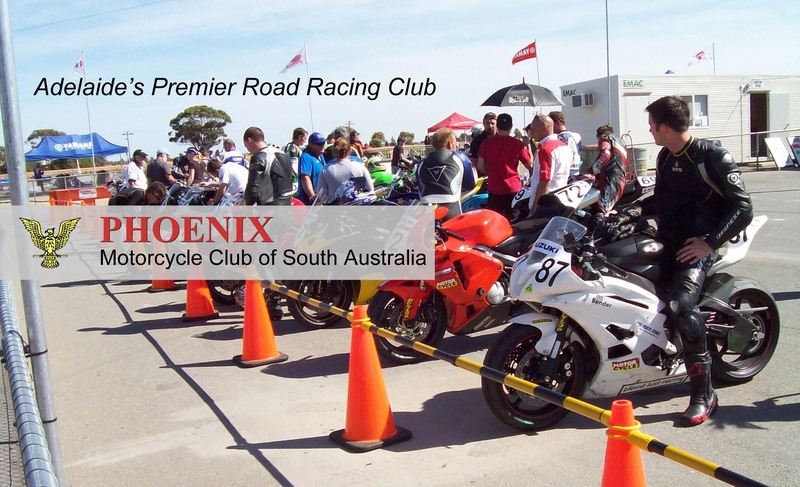 A full copy of the current General Competition Rules can be downloaded from the Motorcycling Australia web site. Red flag displayed. Race or practice stopped. Competitors must slow down, not overtake and slowly proceed to the pits or indicated area. Black flag held stationary and black board with riders number. Competitor with number indicated on black board must stop at the pits on the next lap. Yellow flag held stationary Danger, drive slowly, overtaking is forbidden. Yellow flag waved. Immediate danger, slow down, prepare to stop, overtaking forbidden. White flag waved. Slow moving intervention vehicle on track. Blue flag. Overtaking signal warning the competitor is being overtaken by a faster rider. Green flag waved. Course Clear.